Entrepreneur, corporate trainer, professional speaker and author of Live Your YOUlogy, Red Katz teaches other entrepreneurs, small business owners, and independent contractors how to unleash genuine passion in their lives, unlocking lasting business success. Through his motivational keynote programs and individualized workshops focused on sales, communication, leadership, and success, Red reveals high-impact strategies to accelerate your team toward advanced levels of achievement…in business and in life. Leadership isn’t about having authority over others, bossing them around, or going it alone. But it is a tough job. It’s a privilege of which we are all capable, and we are all called on at some point or another to show just how ready we are to guide the way for others! Stop feel like you’re running in place and make real progress – no matter what! Become more resilient while growing through adversity. Develop a crystal clear image about how to get where you want to be both personally and professionally. Increase passion, which ultimately raises your bottom line! *Those who register after Friday the 9th will be charged a $5 late fee. *NOTE: The Green Bay Area SHRM Chapter is obligated to pay The Rock Garden for all reservations made. If you register for this meeting and are unable to attend, you must cancel by the Friday prior to the meeting in order to receive a refund. Any requests for cancellation after that date will still be charged the meeting fee. 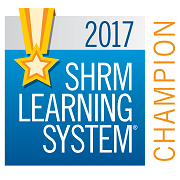 This program has been submitted to the HR Certification Institute for review. 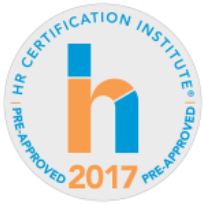 HR Certification Institute® pre-approved this program for 1.0 HR (General) credits towards aPHR™, PHR®, PHRca®, SPHR®, GPHR®, PHRi™ and SPHRi™ recertification.